About a week ago my morning fasting BG was a whopping 118; I couldn’t believe it. Thinking that it must have been a bad strip or a glitch of sorts, I rechecked and it was about the same. Ditto for the postprandial BG that I usually don’t check. I was baffled. How come? C’mon now, I didn’t eat anything I wasn’t supposed to. I didn’t do absolutely anything to cause this. Where did this come from? In an instant I could foresee diabetes meds in my near future. Oh no, not me. I turned to the internet and after a bit of googling found out that it could be the cold weather to blame. A number of websites including Healthline report a higher A1C as well as more people diagnosed with diabetes in the colder months. What’s more, diabetes is more common in European countries that in say, Africa or South America, because it’s colder up north in Europe. And there is a reason for it. It all has to do with the brown fat and adaptation to cold. Back in the prehistoric days, says Healthline, our ancestors lived in constant freezing temperatures. For that reason, they had lots of brown fat so they could have become insulin resistant to raise blood sugar as well as raise the freezing point of their bodies, while at the same time giving their brown fat plenty of fuel to keep them warm. As brown fat plays a role in glucose control, their BG levels never reached critical levels, so they were able to survive. Now this starts making sense. I knew it wasn’t me, I just knew it. And now turns out that it was the cold weather to blame. In the next day when the weather warmed up a bit, my fasting number was 105. And then a 100. That’s more like it. I don’t check my fasting BG every day. I do it about once or twice a week. Looking back at my records, I noticed that the numbers in the winter time are around 100, while at summer they are typically in the mid 90s. Oh well. You live and learn. 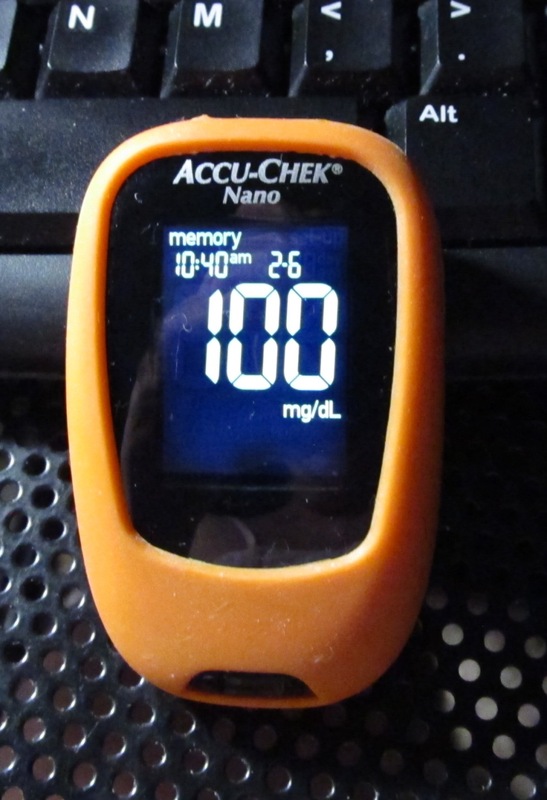 This entry was posted in blood glucose, diabetes, diabetes management and tagged A1C, adaptation to cold, diabetes, postaweek. Bookmark the permalink. My husband has been a diabetic for 45 years, stress, and many other factors can cause it to rise.